After about 4 weeks of using Feverfew by Progena my migraines became fewer and farther in between. 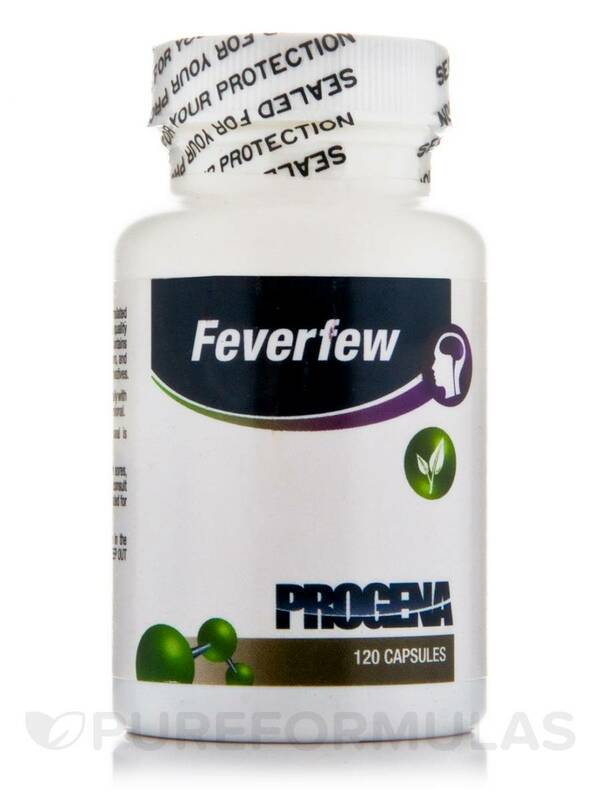 Feverfew Capsules by Progena contain feverfew (tanacetum parthenium) extract‚ which might work to promote overall well-being in several ways. First‚ this herb could potentially act to relieve certain symptoms associated with minor headaches. Specifically‚ feverfew extract contains sesquiterpene lactones; due to their gentle antispasmodic effect‚ these chemicals may work to relax the smooth muscles that line cerebral blood vessel walls. As a result‚ this Progena supplement may act to reduce the frequency and severity of some headaches. 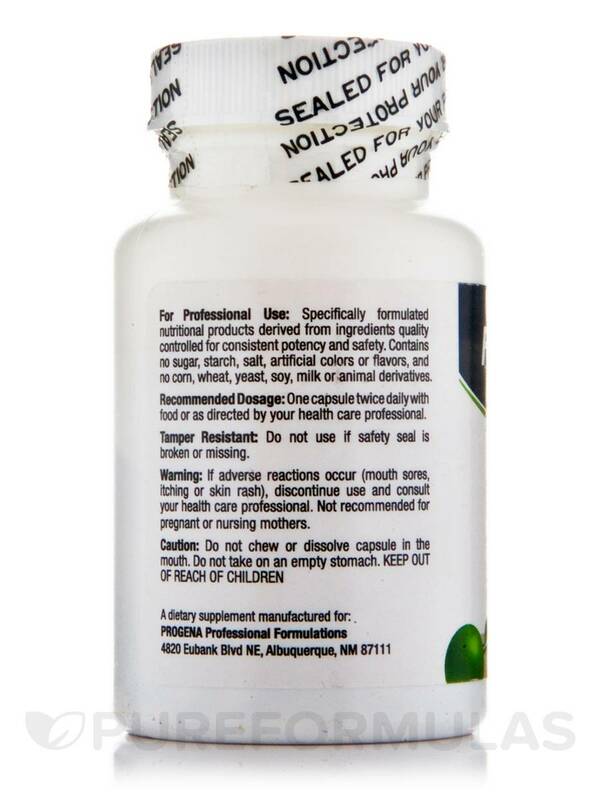 Moreover‚ Feverfew Capsules might play a role in maintaining optimal female reproductive function. In particular‚ feverfew may help address some symptoms associated with PMS (premenstrual syndrome)‚ such as mild menstrual cramps. For these reasons‚ every serving of Feverfew Capsules provides 130 milligrams of feverfew leaf extract. Last‚ this product is free of artificial colors and flavors. At the recommended serving size of one capsule twice daily‚ each 120-capsule bottle of Progena’s Feverfew Capsules should last for about two months. Other Ingredients: Gelatin (capsule) and Rice Flour. Specifically formulated nutritional products derived from ingredients quality controlled for consistent potency and safety. Contains no sugar‚ starch‚ salt‚ artificial colors or flavors‚ and no corn‚ wheat‚ yeast‚ soy‚ milk or animal derivatives. 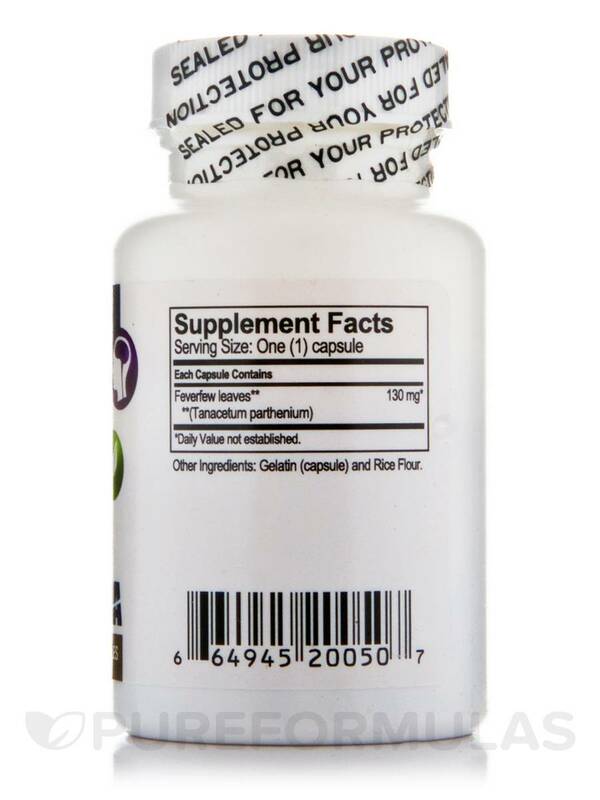 One capsule twice daily with food or as directed by your health care professional. If adverse reactions occur (mouth sores‚ itching or skin rash)‚ discontinue use and consult your health care professional. Not recommended for pregnant or nursing mothers. I was having many stress headaches a week - almost on a daily basis. This Feverfew by Progena cut my headaches down by 60 %. I continue to purchase this item. You have to wait a few weeks taking it to see results.